We believe that boat designs for home build do not have to be compromised by over simplifying the construction and therefore compromising the lines of the boat. We know that DIY-ers can do better than that. With sharp tools, a bit of confidence and care, you can build a beautiful boat using basic boat building techniques and be able to put your individual stamp on your pride and joy. As a bonus you get a grounding in some boat building skills. Our boat designs can be supplied as either full size paper templates or as a basic kit. The kit consists of CNC cut parts for assembling the mdf building jig along with the main plywood components and patterns of the inner and outer faces of the transom along with profile shape and section profiles of the rudder and centreboard. All the necessary plywood and timber can also be supplied, together with the adhesives and sealant. To ease the business of obtaining the shape of the strakes, the upper and lower positions of each strake are marked onto key building jig stations and any compartment bulkheads. If you do not want to take on the task of making any of the parts from scratch, we are happy to assist. Where stem and apron are required to be laminated, we can also laminate these for you. Centreboards and rudder blades can also be supplied ready for finishing. We make our masts and yards using a simple but effective rounded, hollow box section method. The four rebated sides of the spar are epoxy glued around internal former blocks, with the top and bottom formers becoming the masthead with halyard sheave, and mast heel respectively. 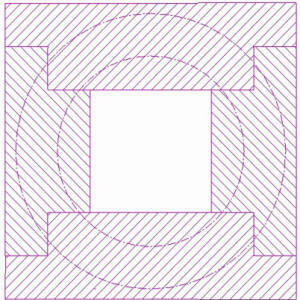 The spar is then cleaned up square and tapered by the required amount before being rounded. The timber for the spars can be supplied either sized and ready for rebating or with the rebates cut ready for assembly. If you are not comfortable with the process, we can supply spars assembled ready for rounding or completed spars ready for finishing.